All that Jazz at MJF! The iconic Merimbula Jazz Festival kicks off next Friday 8 June and some great bands and performers from Canberra are on the program. Here’s a taste of who you can find when you’re down there. Love a bit of Glenn Miller, Benny Goodman, or Tommy Dorsey? You can reminisce about the Swing Era and get your toes tapping to the following Canberra Big Bands. ConneXion Big Band—directed by Sally Greenaway and with some of Canberra’s top musos and vocalists, ConneXion’s repertoire goes from the 40s and Glenn Miller through to the 80s and James Bond. You can find ConneXion at the Auditorium Club Sapphire at 5pm 9 June. traXion Big Band—together for over 10 years traXion plays a range of swing from Count Basie to modern and movie themes. traXion are at the Auditorium at 9pm 9 June, and the RSL at 4pm on 10 June. In Full Swing—formed in 1991, In Full Swing starts in the big band era of the 30s and 40s through to contemporary funk, rock, and smooth jazz. In Full Swing will be swinging at the RSL at 6pm 9 June, and again at 5pm on Sunday 10 June. 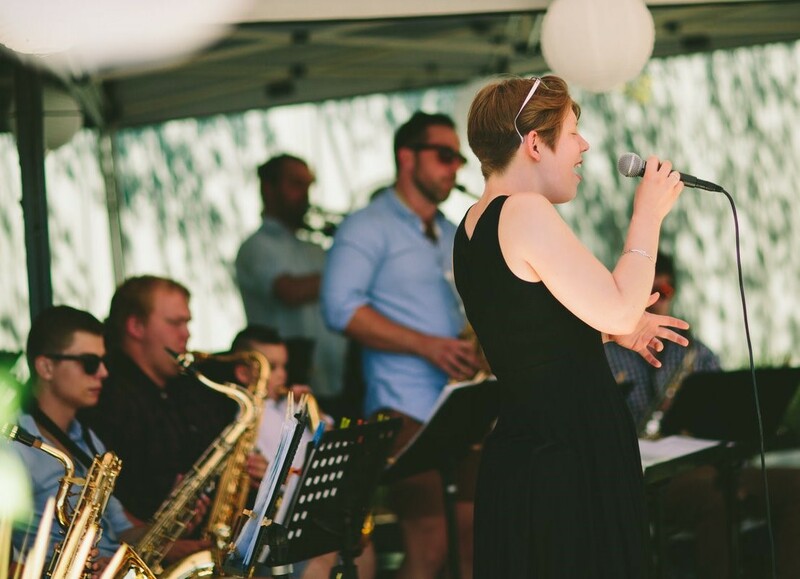 Blamey Street Big Band—directed by Canberra vocalist and classical pianist Leisa Keen, Blamey Street plays music from all eras with a particular fondness for the 1930s. Former musical directors include Ian McLean and Derrick Brassington, and vocalists Tony Haley, Rachel Thorne and Annette Sloan. Blamey Street will be at the RSL at 2pm on 9 June, and the Auditorium at 1pm on 10 June. If you’re into the more intimate music of small combos, duos or trios, check out In2Deep with vocalist Rachel Thorne and pianist/composer Mike Dooley. Covering jazz standards and original swing and soul composed by Dooley, this brilliant duo received a standing ovation at MJF last year. In2Deep will also launch their new album, A Good Man is Hard to Find, at MJF. You can find this one good man (and woman) at the Auditorium at 8pm on Saturday 9 June, and the Sapphire Room at 2pm Sunday 10 June which also includes their CD launch. And now for something completely different … if you want to hear a full choir perform jazz and swing, get over to the Auditorium at 7pm on Saturday, or the Sapphire Room at 3pm Sunday and have a listen to Rhythm Syndicate. 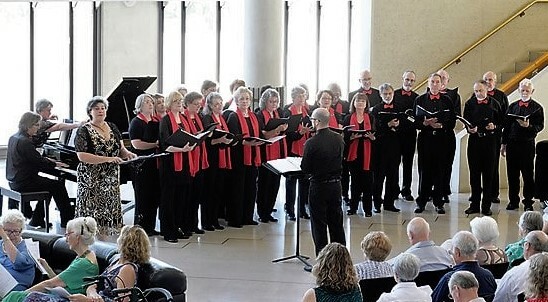 This group has been performing around the Canberra region for almost 30 years, and at Merimbula for 14 years. If you can’t catch their Sapphire Club gigs, they will also performing some gospel—with a twist—at the Ecumenical Jazz Service at St Joseph’s Catholic Church at 11.30am on Sunday. 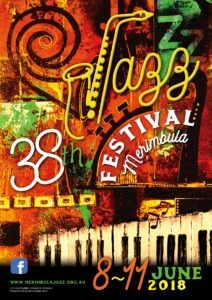 Merimbula Jazz Festival is now in its 38th year and gets bigger every year! The Festival also includes the Jazz Dance on Thursday 7 June, the Jazz Hatters Party (formerly the picnic) on Monday 11 June, the Street Parade on Saturday morning, and the Jazz Quest for young (under 25) upcoming musicians at the Lakeview Hotel on Saturday evening. For more information and full Festival program visit their website or Facebook page. 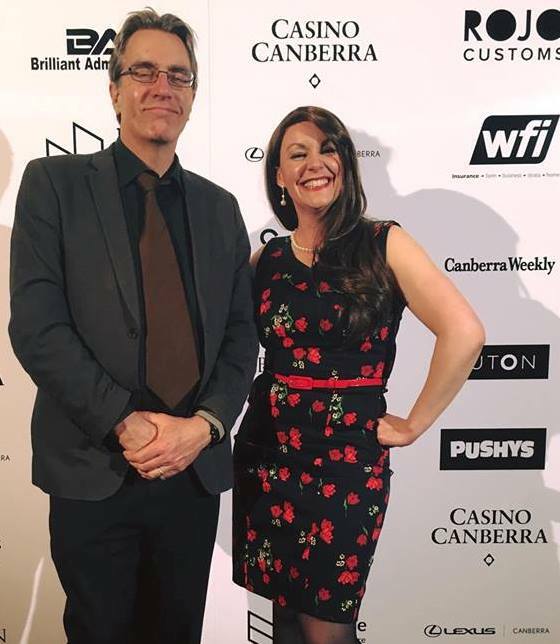 This entry was posted in LFW Your Canberra and tagged All that Jazz, Canberra jazz, Canberra Jazz Bands, Merimbula Jazz Festival, Music Festivals, South Coast Jazz, South Coast Music on June 1, 2018 by gracienumber1.